“The trigger (for the reshuffle)… was repeated mark-downs in its valuation by the fund units of Morgan Stanley and Fidelity,” said one source familiar with investor discussions. “Tiger, along with other investors, want to steady the ship and make it IPO-ready as soon as they can,” said the source familiar with investor discussions. Binny Bansal also mentioned “IPO readiness” as one of his key objectives as group chief executive officer in an internal memo announcing the reshuffle. One wonders what the growth story for the IPO is going to look like once Alibaba joins the fight for the Indian market as well. 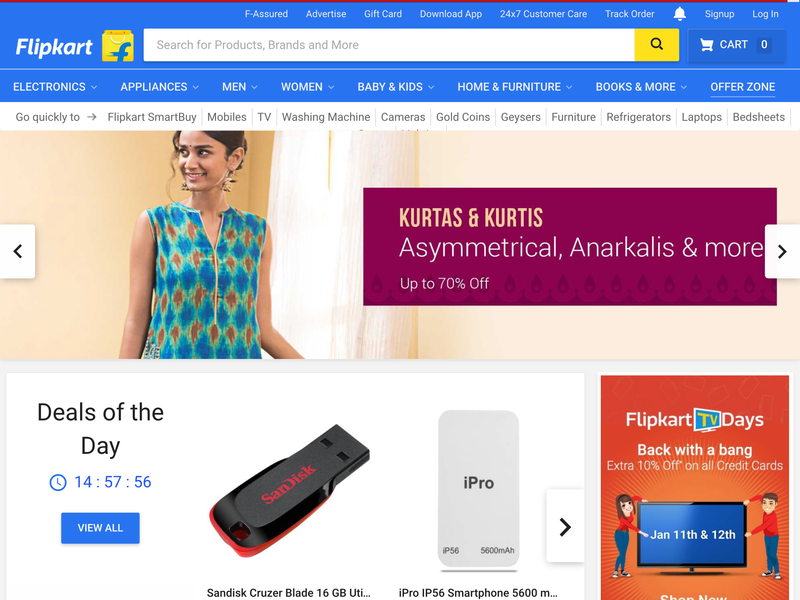 Flipkart and other startups, like ShopGlues for example, can grow nicely in the Indian market, even with the two world’s biggest e-commerce giants battling it out in that market. But Flipkart is missing a growth strategy right now and everything Tiger Global and its man at Flipkart are doing is about consolidating.